Caroline was thrilled when she got a letter from her art teacher saying that her art piece had gotten picked for the Keller ISD art show at the town hall. The piece that got picked was art using “mixed media”. She used paint, markers, tape, toilet paper rolls and paper. She was beaming walking around the art show! We were so proud of her! Leighton has LOVED her first year of preschool. She was in the tiger class and had great teachers. 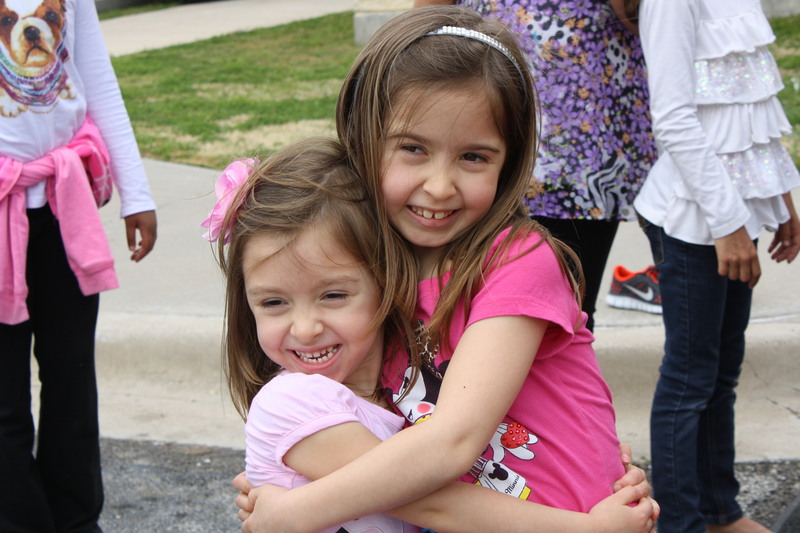 She loved seeing her little friends everyday…and jumped up ready to go bright and early every morning! She was too shy to talk to her teachers, but she would answer all of their questions during circle time. We think this is crazy because she talks our ears off all.day.long. This was her first time up on a stage. She sang and knew all the motions, but she wouldn’t dare look at us sitting on the front row…too embarrased:). She looked darling in her safari hat. We love this silly little girl! This was Leighton’s first time to have brother and sister come watch HER perform for a change! Ben’s grandmother, Daisy, turned 90 this year. Mark and Sherry had a fabulous come and go reception at their house to celebrate her. They had about 100 people from all facets of her life show up to say hello. We love Grandaisy and are thankful to get to spend these precious years with her! It has been a BUSY last few months…thus no time to blog. So now I’m playing catch up! 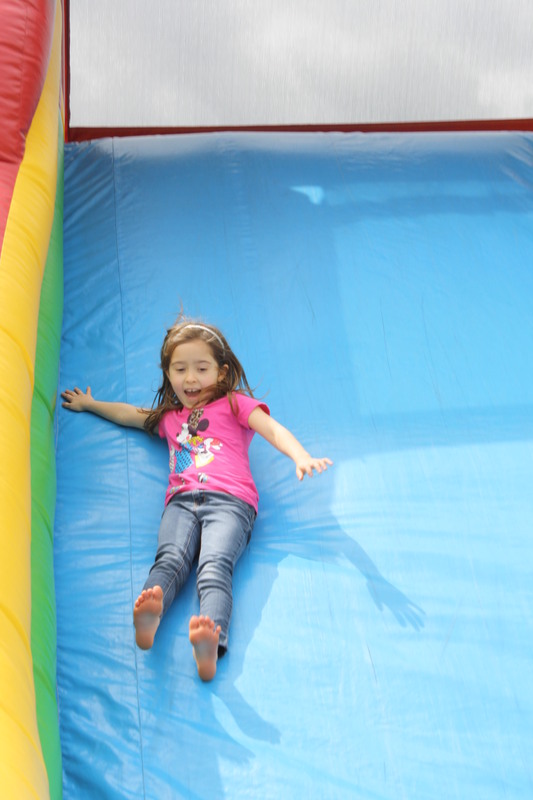 We had a great Easter weekend this year. This was the first time we had both my side of the family and Ben’s side of the family over to our house for Easter lunch and egg hunt. It was so nice to have everyone together! 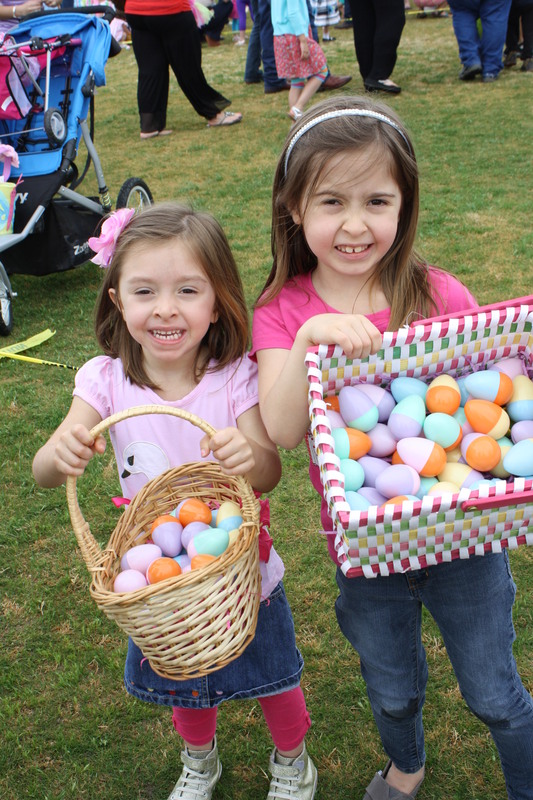 We started the weekend out on Saturday with an egg hunt at a local church. 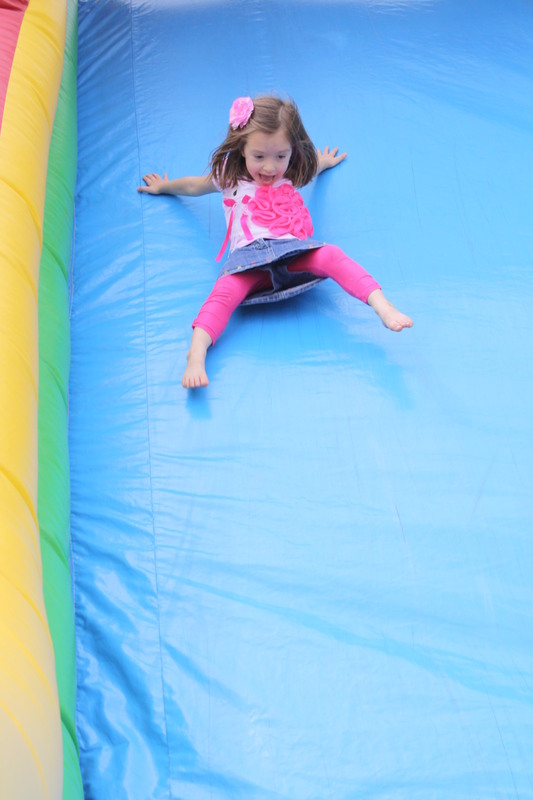 I took Caroline and Leighton…they had a blast! 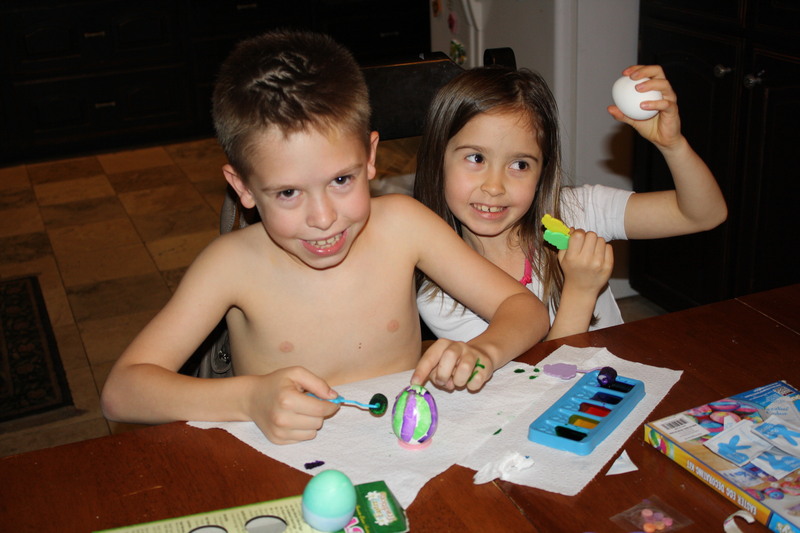 That evening we colored eggs. Sunday morning we had a great worship time at church, and then came home to have lunch with the whole family. 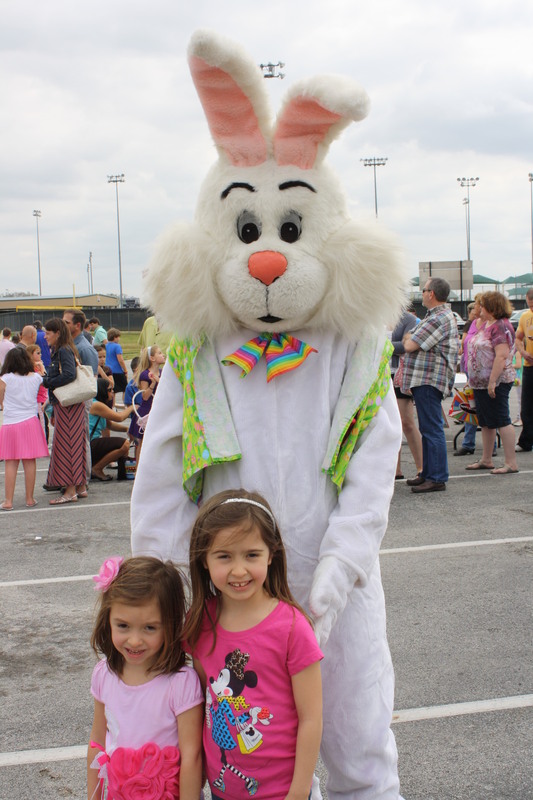 We had a HUGE egg hunt…we hid 350 eggs! With all the commotion we forgot to get a “family” picture and a Posey “cousin” picture…oh well! Ben threw an egg with money into the middle of the pool…guess who decided to jump in?